Your puppy must be spayed/neutered according to our spay/neuter policy. 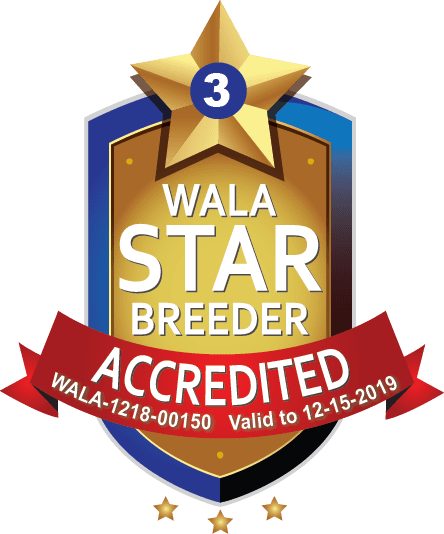 We follow the strictest health testing and are a proud recipient/participant in the the Gold Paw program, a recognition by the Australian Labradoodle Association of America (ALAA) that a member is going above and beyond. We guarantee our dogs because we have taken the extra steps to ensure they are healthy. All our breeding dogs receive genetic health testing, PennHip testing, OFA elbow certification as well CERF eye exam. CERF stands for Canine Eye Registration Foundation and contains a wealth of information regarding heritable eye diseases. The CERF exam is performed by a veterinary ophthalmologist (this test is repeated every 18 months) and it is similar to that of humans, except the eye chart. DNA testing for genetic diseases specific to the parent breeds of our Australian Labradoodles. 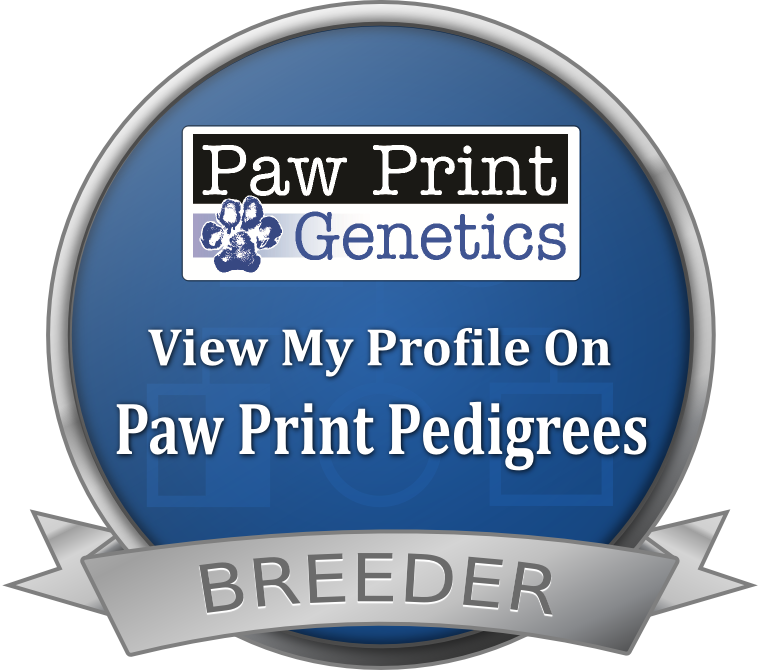 There are many facilities that perform the testing but we use PawPrint Genetics. Each dog has a public profile so you can see it's genetic makeup.